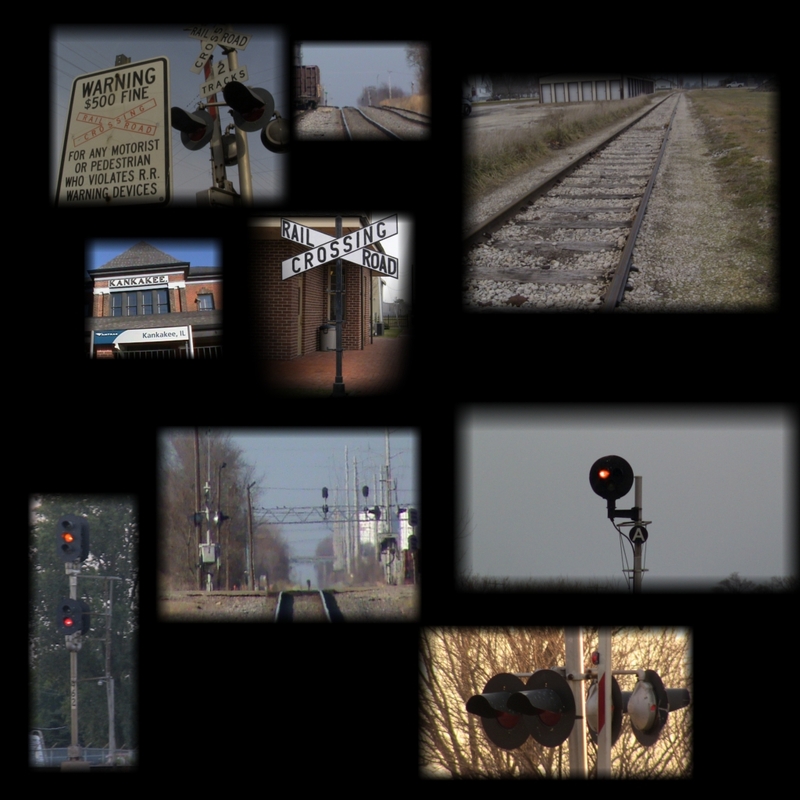 Railroad related web content provided as an educational volunteer effort of the American Passenger Rail Heritage Foundation (APRHF), a 501(c)(3) non-profit organization. To help support and preserve passenger rail heritage click here to join today! 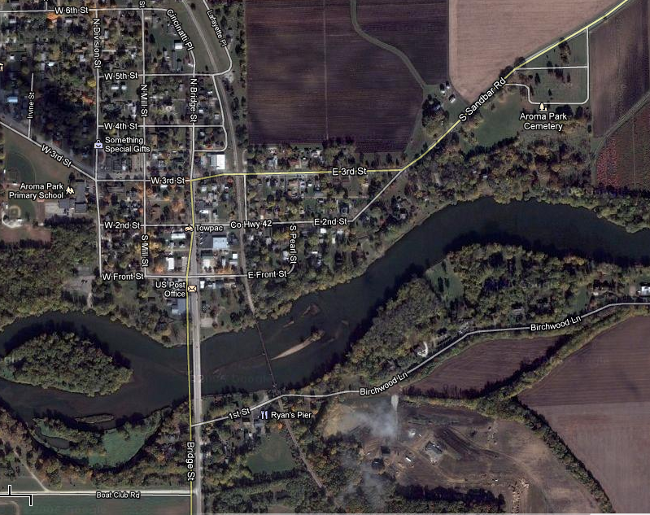 Founded originaly as Waldron, IL; Aroma Park is a peaceful small community right off of the Kankakee River. As far as I can work out, it's never been the hot-spot for trains. However, it does have an interesting history nonetheless. Back in the day, the first line was laid down by the Big Four railroad. The line they laid down (including the bridge across the Kankakee) is there for the most part. The Big Four was bought out by the New York Central railroad. The NYC soon turned into Penn Central. The line wasn't making much money, so it was sold to a man who started up the Kankakee, Beaverville, and Southern railroad. A shortline that currently operates the line. The station used to be between the two streets of 2nd and 3rd. This site may be unused for a long period of time, but it still has some original Big Four and NYC remains. Switchstands, signals, and bridges can be traced back to the New York Central. The bridge and the high track through town make for good shots for when KB&S does run through town. A good place to grab a bite? Well, there's a grill and bar right next to the bridge called Ryan's Pier. Copyrighted 2012 by Joshua B.